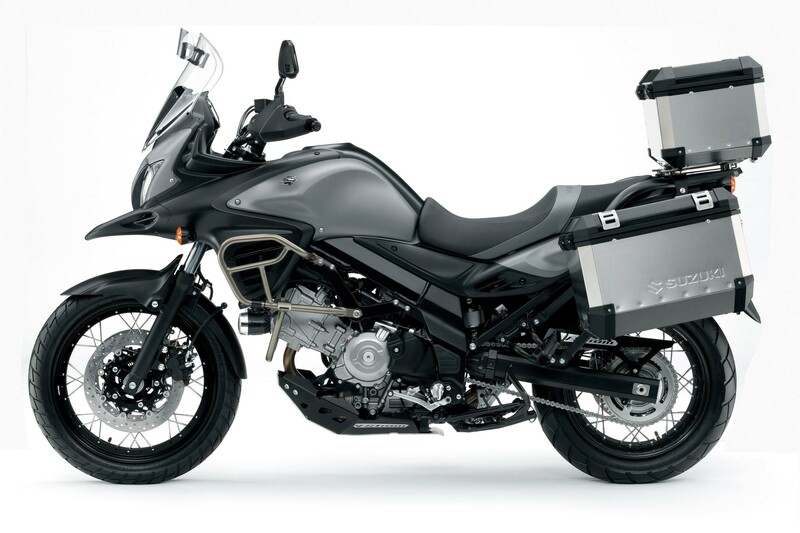 The leaks ahead of INTERMOT turned out to be true, as the 2015 Suzuki V-Strom 650XT broke cover today in Germany. 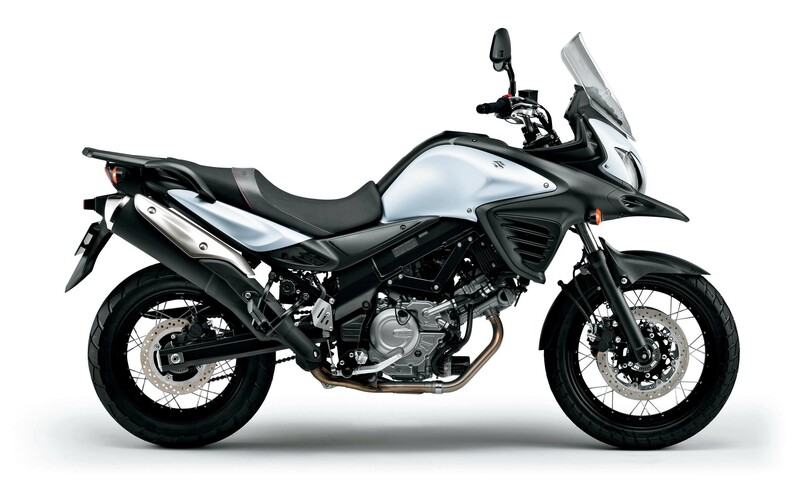 Taking its cues from its 1,000cc sibling, the Suzuki V-Strom 650XT is visually very similar to Suzuki’s other ADV bike, though at its center is the same tried-and-true 645cc v-twin engine. 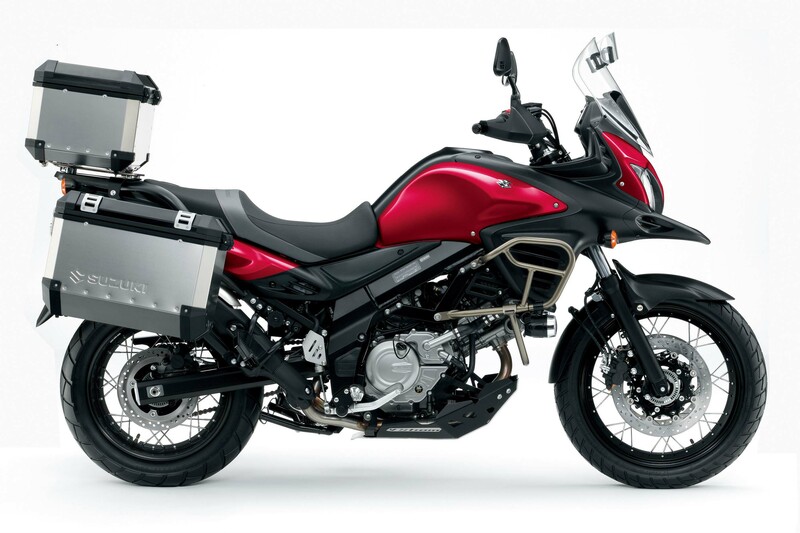 Noticeable differences to the Suzuki V-Strom 1000, beside the engine of course, are the wire-spoked wheeles, side-by-side dual headlight (the V-Strom 1000 has a stacked headlight). 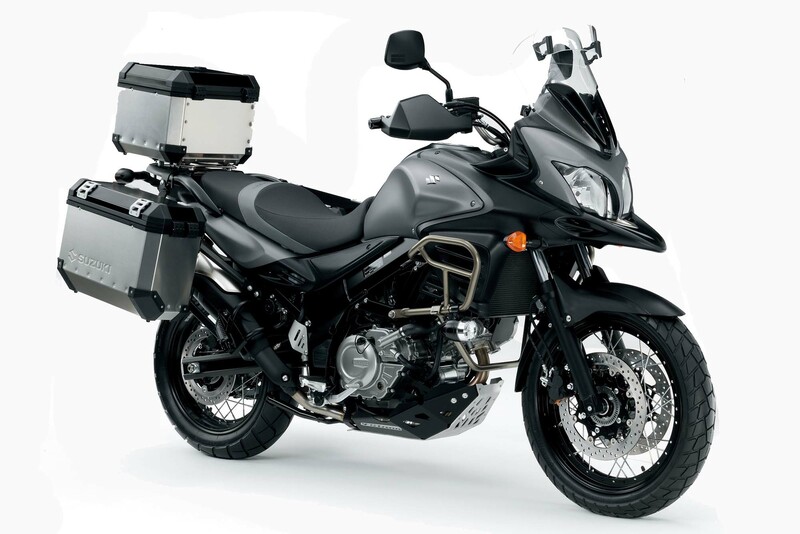 Like the V-Strom 1000 though, the V-Strom 650XT comes with a 19″ front wheel (17″ rear). 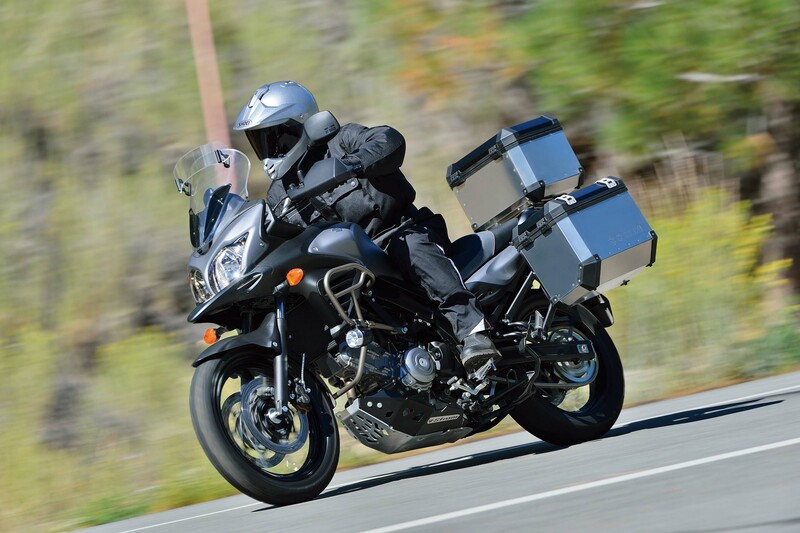 At 474 lbs at the curb, the V-Strom 650XT ABS is a lighter option to the V-Strom 1000, and gives the Triumph Tiger 800XC & BMW F800GS a good run for their money — expect the 2015 Suzuki V-Strom 650XT ABS to be priced aggressive, as such. 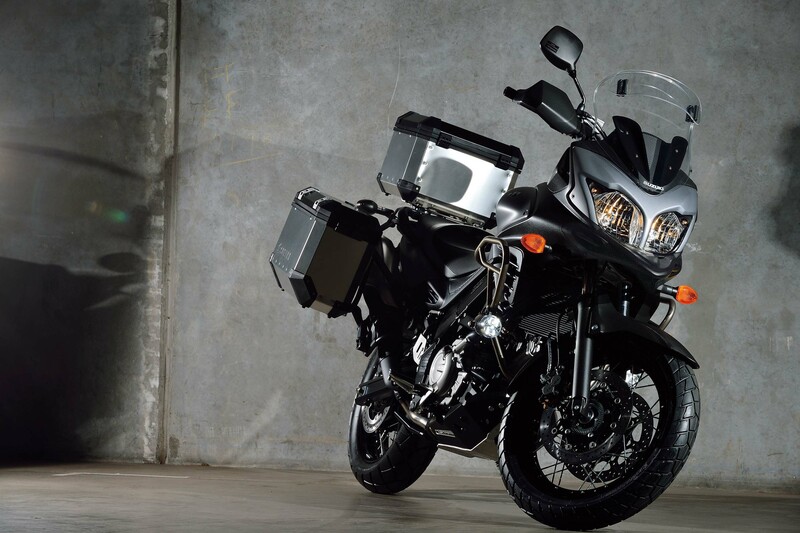 For riders who like to play dress-up, the 2015 Suzuki V-Strom 650XT has various options available, such as a skid plate, crash bars, aluminum top and side cases, and LED fog lights. 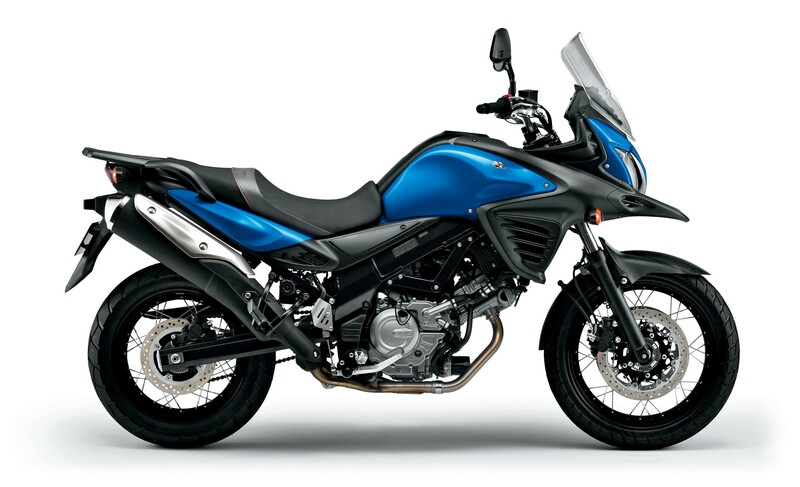 The V-Strom 650XT is available in four colors: gray, white, blue, and red. 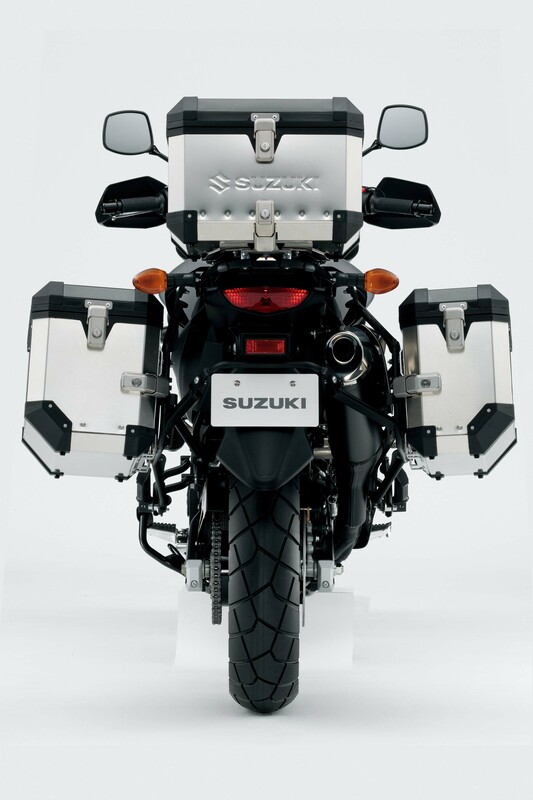 Expect the model to be available in Europe and the US, though Suzuki hasn’t confirmed the latter just yet. 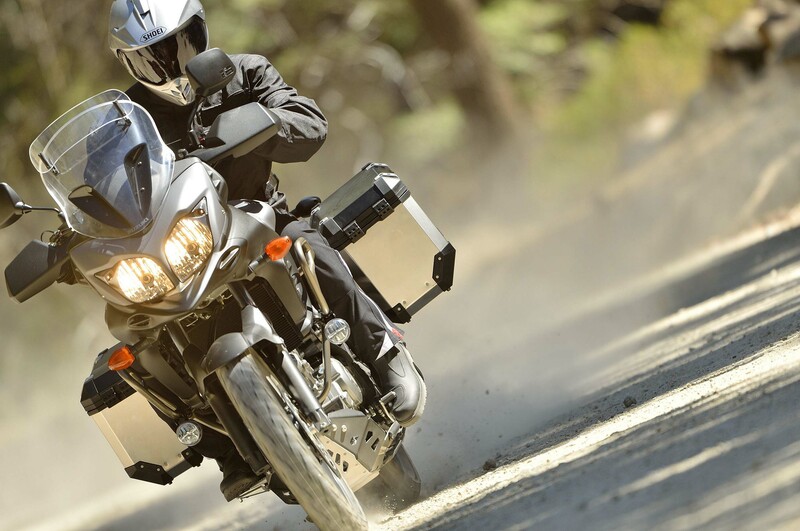 There isn’t a better track than Phillip Island to get my victory 50!